Jared Unzipped: The Dating Life of Cardinals. 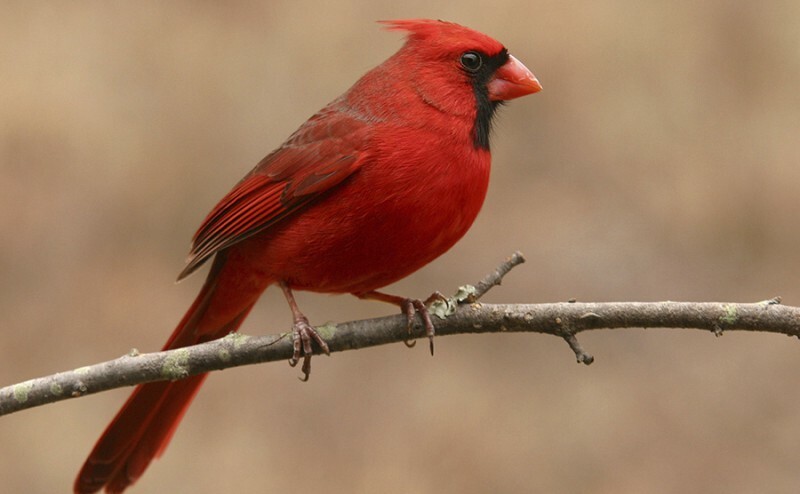 The Northern Cardinal (Cardinalis cardinalis) comes in two different colors: bright red (males) and dull olive brown (females). Males are red because their plumage is used to attract a mate. To produce red feathers, male Cardinals feature a unique adaptation involving carotenoids. They can metabolize custom carotenoid pigments to generate a color different from the ingested pigment of food. Hence, they generate various shades of red pigment from their food, no matter the original color. As the male Cardinal comes into maturity, all dressed in scarlet, it begins to seek out a female partner. When the male encounters a female that is receptive to his advances, he begins courtship. The initial action is for the male to find food and feed the female, beak-to-beak. Should the female be pleased with the courtship, she will accept the male as her partner. To let the male know that she's happy with his performance, the female may dance or flex her neck to signify acceptance. Once two Cardinals partner together, their union is for life. Cardinals are monogamous. The act of beak-to-beak feeding is sometimes carried over into the prolonged relationship, up until death. When a female Cardinal becomes pregnant, the male retrieves building materials for a nest: twigs, sticks, vines, leaves, etc. The female is typically responsible for composing the nest. Within a week of completing the nest, she lays her eggs (usually 2 - 4). Incubation for the eggs is nearly two weeks. During winter months, the male may help to incubate the eggs when it's cold, though rarely. While the female is caring for the eggs and offspring, the male Cardinals retrieves food. 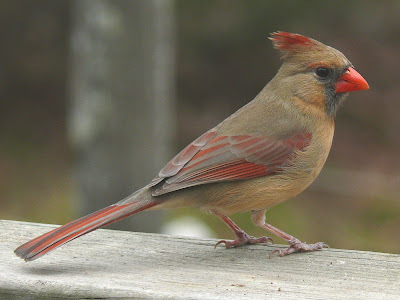 Within a year, a Cardinal pair may raise between two and four batches of fledglings. I can totally relate to this. I don't even want to go near tinder, I've heard nothing but bad stories about it!